When Sir David Attenborough said plastic was the biggest threat to the world's oceans in Blue Planet Two, he didn't mean just plastic straws. 2018 so far, has been the year of the straw, or more accurately, the year of no-straw. The Queen banned plastic straws from the royal estates, Starbucks announced it will ditch them globally by 2020, and Marriot followed suit, pledging to stop using plastic straws and stirrers in its properties by July 2019. 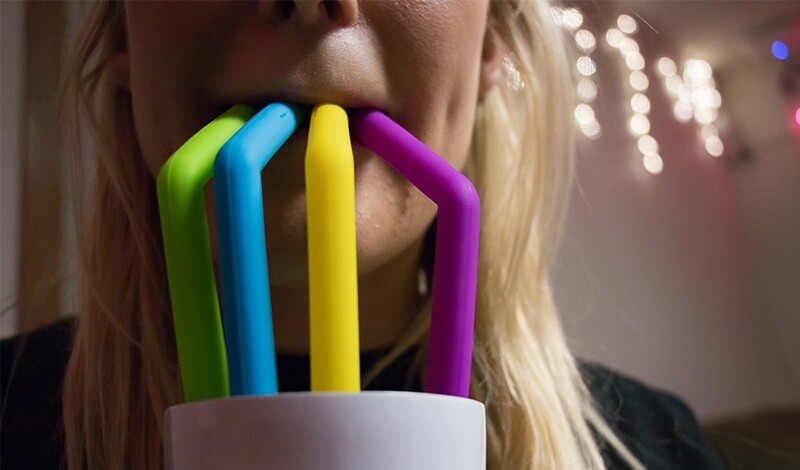 The Hype got bigger and bigger with organisations like the Lonely Whale launching campaigns to discourage people from using plastic straws. 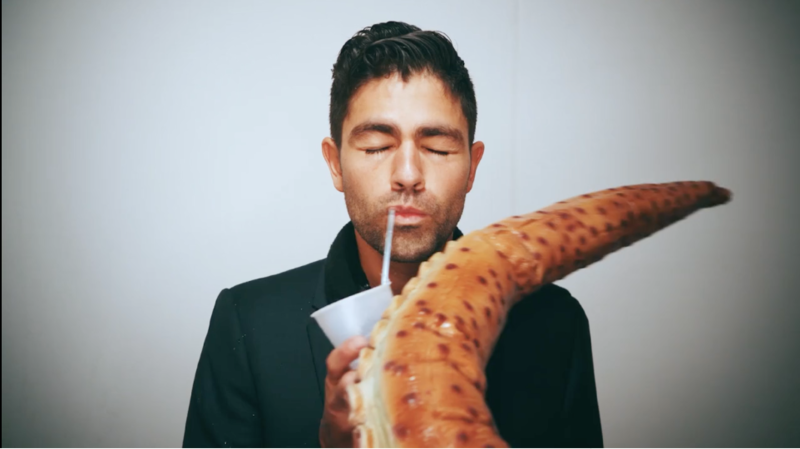 Everybody jumped on the #stopsucking bandwagon, from Hollywood celebrities like Adrian Greenier, to famous athletes like Tom Brady, and even actual scientists like Neil Degrasse Tyson. Someone even made a documentary about them. But are they really Tom? All of these no-straw campaigners love to mention that the people in the US alone consume 500 million straws a day. That sounds incredibly bad, isn’t it? Well, it is indeed in-credible, because this number comes from a 10 year-olds school project. According to Reuters, the real number is around 170 million. Another "straw-fact" that keeps getting thrown around is that currently, there are 8.3 billion plastic straws scattered on global coastlines. This number is based on research conducted by two Australian scientists. However, what usually doesn't get mentioned is that even if all those straws suddenly ended up in the sea, they would only account for about 0.3 percent of plastics estimated to enter the oceans in a year. Within the larger context of plastic pollution and climate change, the role plastic straws play is rather minuscule. This is not to say that we should use five straws per drink or fill-up our bathtubs with them; if you don't need a straw, because some people actually do, obviously it's better if you don't use one. But because of all of this noise around plastic straws, we are losing sight of real dangers like ocean acidification and other (larger) plastic pollution. Although some argue that refusing plastic straws might be "a gateway" to do more for the environment, the risk is too big to leave things to wishful thinking. Sure, it might lead to more impactful actions, but it also might lead to the exact opposite. When it comes to acting responsibly about climate change, people tend to use self-licensing, using a good deed to negate a bad one, to justify their otherwise questionable actions. One research found that when people recycle, they feel entitled to use more resources and care less about how their non-recycling related actions affect the planet. There is no concrete evidence that the hype around refusing plastic straws leads to similar self-licensing results, but we can't afford the chance that it does. In the video he posted on Instagram, Tom Brady says that refusing plastic straws is his commitment to tackling plastic pollution. Well, that commitment is not even close to being enough. If we stop at plastic straws we won't get anywhere. We need to think, talk and act more about climate change, not less. Refusing plastic straws looks like a rather an easy solution for an individual compared to seemingly impenetrable issues like climate change. But let's not fool ourselves, it's almost not a solution at all; the contribution we're making to solving plastic pollution by refusing straws is zero to none. Bloomberg predicts that, by mass, straws only account for 0.03 percent of plastic waste. In Doing Good Better William MacAskill argues that "on very generous estimates, if you stopped using plastic bags entirely you'd cut [...] only 0.4% of your total emissions." Imagine how little the effect of cutting plastic straws would be. Hell, forget a positive impact, by refusing plastic straws and switching to alternatives like paper you might even be causing more harm. Turns out paper straws require more energy and effort to produce and are 8 times more expensive. They're also not as sturdy as their plastic counterparts and tend to break mid-drink, possibly causing people to use more than one in one go. But you know what are high impact actions when it comes to reducing personal carbon emissions? Cycling to work if you can, eating less (ideally no) animal products, going on a local holiday instead of a transatlantic one; or if you want to do the absolute best thing for the environment: not having children. 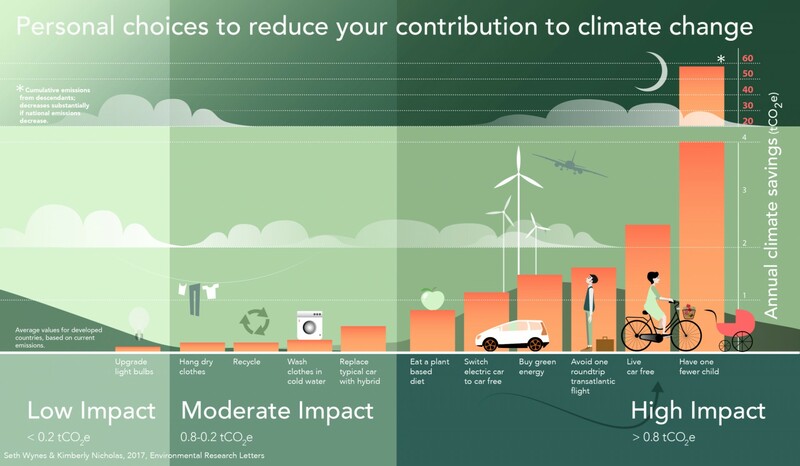 If we want to have a real impact on climate change, bigger lifestyle changes are the way to go. And in the meantime, if you also want to refuse plastic straws, be my guest.